My reading has started to pick up again and that makes me happy, especially heading into summertime. Last time I posted about what I was reading I was getting to ready to read the first Harry Potter with my son over Spring Break. We both finished it in 4-5 days (him before me!) and loved it. It was so fun to be able to talk about it together as we were reading it, and now this week we’ve been watching the movie (that we found on demand) as a family. I’ve got books 2 and 3 tucked away in the closet waiting for us to dig into over summer break. After seeing Jessica mention Kristen Hannah’s newest book out last month, I ventured into the H section of the library to see what I could find. I hadn’t read one of Hannah’s books in quite a while, and she’s one of those authors I find that I can depend on usually for a good read. I went home with True Colors and have just started to get into it. Apparently it’s a story of three sisters with a strong and close relationship – living in a small town – that suddenly find themselves dealing with unfortunate rivalries, betrayals and a just lot of family drama. 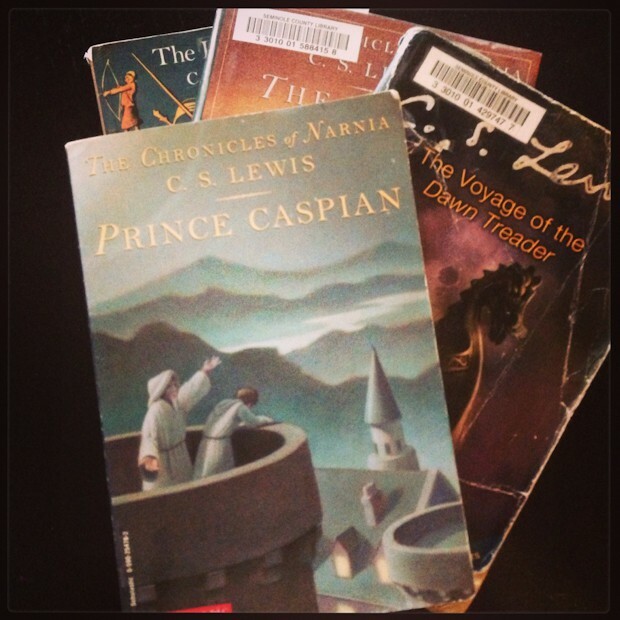 As for the young reader in the family…my son, who is 8, is devouring the Chronicles of Narnia series. After seeing how much he enjoyed the Harry Potter book, I thought I’d bring home the first book of the Chronicles series for him to read. I think he’s about to start book 7 now. I’m tempted to read them myself, but may just settle for watching the movies with him this summer instead. Tip: If you’re like me and you’ve got a young reader in the family and would like to “screen” what they are reading ahead of time, I’m finding the CommonSense.org media site and app to be extremely helpful. If you aren’t familiar with it, it includes trustworthy reviews on books, movies, websites and anything media related geared toward parents so that they are able to make educated decisions on what to let their kids watch, read or interact with online. It has become a very useful resource for me these days regarding both of my kids! Now you tell me, have you read any of these books? What’s on your bookshelf these days? What should I read next? I was feeling a little dry with my reading until lately, I guess we all go in spurts. I’m wondering if I should try to read the Chronicles of Narnia – glad to hear you enjoyed them. 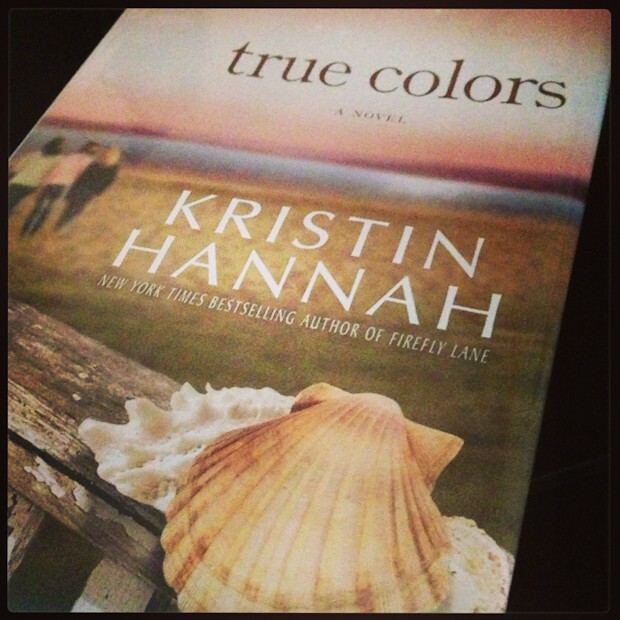 This Kristin Hannah one is getting good, I’m hoping to finish this weekend. I loved the Water for Elephants movie. I loved Water for Elephants! I just read the Paris Wife (which I loved) and starting Z: a Novel of Zelda Fitzgerald. I loved Paris Wife!! I’ll have to check out Z, thanks for sharing that! 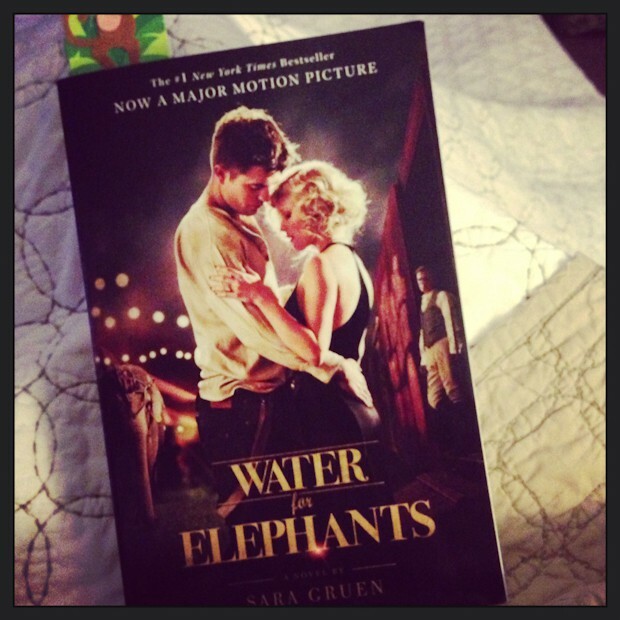 LOVED “Water for Elephants!” Read it way before the movie came out. The movie was okay. Great book recommendations! I’ve read Water for Elephants but need to dive into these other interesting reads. Thanks for sharing, Aggie! Have a happy weekend. I recently read True Colors and it was fantastic. I seriously want them to adapt it to a movie, I couldn’t put it down and definitely recommend it. Hope you enjoy!